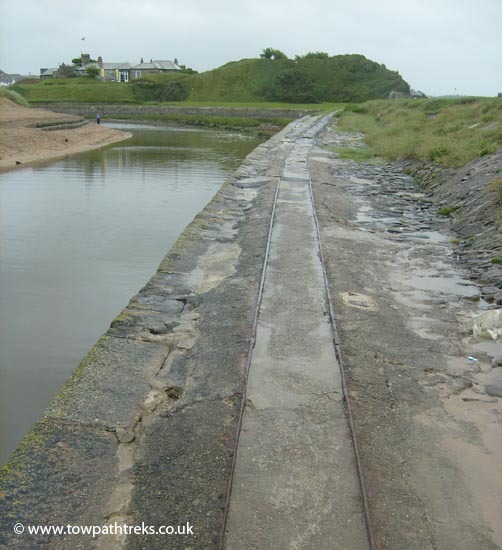 This is the railway up from the beach to the quayside. Wagon loads of sand would be pulled up here by horses. On the left is the River Neet.